Guam’s Homegrown, Web Solutions Leader, since 2004. 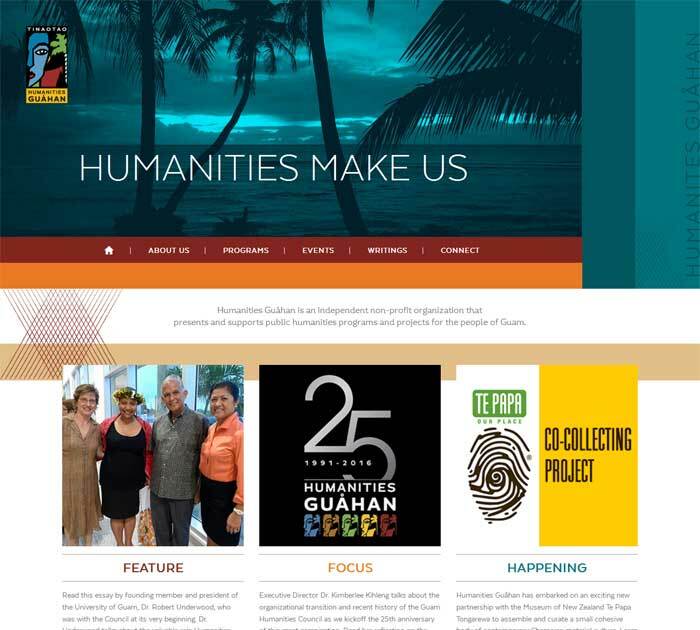 We are building Guam’s Online Future... For Everyone. For Everything. GuamWEBZ's core service and product is: Website Design & Development. 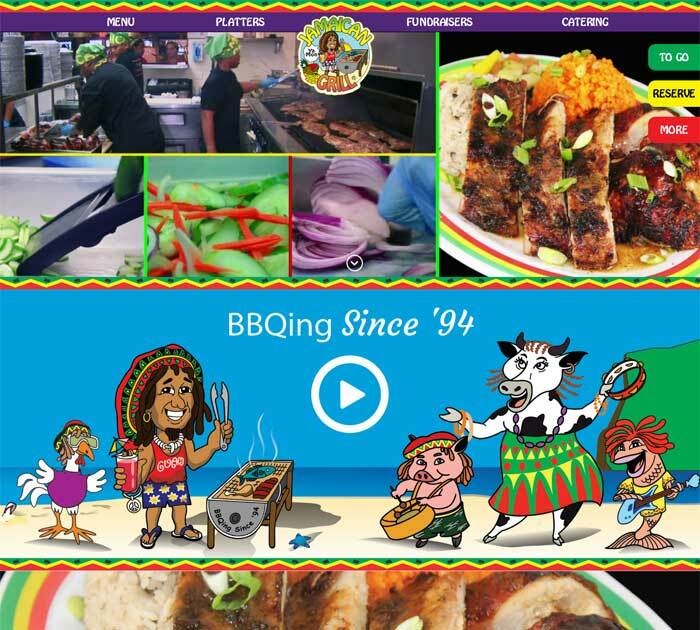 We have been building some of the coolest websites for Guam and beyond since 2004. Our website design and development services are used by organizations who are in need of a facelift. We design beautiful websites at affordable rates. Not only do the websites we develop look absolutely amazing, but we design them with your marketing goals in mind. High performing websites are focused on user experience, responsiveness across all devices, and clear call-to-actions to funnel traffic to your contact form or product page. GuamWEBZ has worked with small and large businesses, non-profit groups, GovGuam agencies, and almost anyone who wants to make a solid entry into the World Wide Web. Our technical know-how, creativity, business sense, and excellent client-support serve to your advantage, giving you a strong and profitable Internet presence. GuamWEBZ stands by all our online solutions, offering 24/7 Live Web Support, Monitoring, and Updating. We are here to take you online, and to keep you online, all the time. Our websites are loaded with robust features, work like a charm, and make it easy for your target audience to find what they are looking for. Each of the websites we build are customized, built especially for your organization. GuamWEBZ is a fully focused and dedicated mobile app development company. We have a division who has complete focus on mobile app development for various operating systems like iOS, Android, Windows and also cross platform development. Because of our focus and mobile app development experts we have developed our unique way of handling and successfully fighting the technical challenges mobile app development present. GuamWEBZ builds native and hybrid apps for clients. Our apps are designed with usability in mind. More so, we focus heavily on User Interface (UI/UX), so app users enjoy the app and find it ultimately, useful. GuamWEBZ is an official Google Play Developer, Android Developer, and iOS developer. 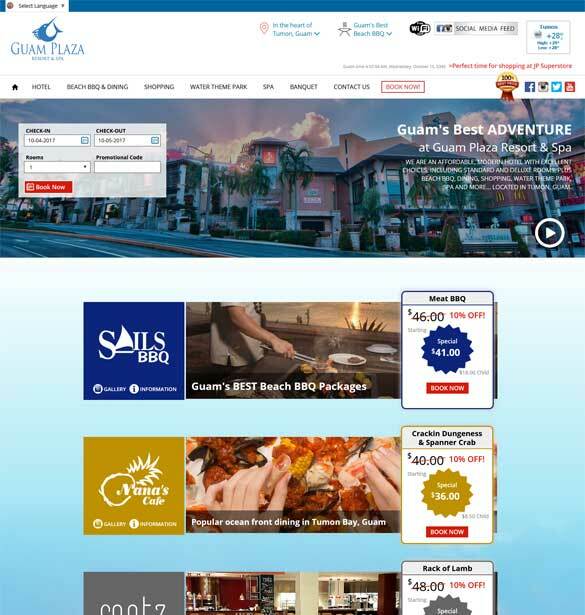 GuamWEBZ is the only qualified Web & Digital Solutions provider in Guam who specializes in Tourism Destination Marketing and Technology for the Travel Industry. GuamWEBZ’s web solutions and plans use a multi-fold approach, integrating best-of-breed technologies and platforms, effectively communicating your Brand, and aligning with your marketing plans. Our solutions leverage tourism destination website services so you can compete and win, online. We offer world class websites, booking engines, apps, back-end database management systems, CRM’s, analytics, and so much more. Sure, there are others out there in the world that can sell you services claiming to help your bottom line, making your business or organization appealing to visitors. However, there is a BIG difference in effectiveness and efficiency when working with us…we make it happen right here, in Guam. GuamWEBZ is a Guam-based business. Our office is in Ypao Road, literally a few minutes away from the Guam Visitors’ Bureau. The fact that we are where you are, is a key factor in why GuamWEBZ would be your ideal choice as you web solutions provider. GuamWEBZ works in the same landscape in which you work in. We know Guam. We know Guam’s tourism goals and objectives. We eat at the restaurants. We enjoy the golf resorts and waterparks. And, we know the people, because, we are among the people. GuamWEBZ will bring incredible value to the table. We understand your online positioning. We realize your strengths and weaknesses. We know, collectively, what needs to be addressed to achieve your goals and objectives for the Guam brand and for Your brand. There is an abundance of skill set you can utilize from within our team. The web expertise you seek is in your backyard; here at GuamWEBZ. We provide reliable and always-online hosting service, to ensure your website is accessible online, all the time, with a near 0% downtime. Our Web Hosting architecture is based on a scalable platform. If your website needs more space or bandwidth, we will provide the needed space or bandwidth, automatically. Ram and storage are guaranteed. We do not overload. If your website grows, we will make sure that the server carrying the hosting also expand to accommodate traffic to your website. Our servers are secure, safe, and solid as latte stone, to hold your website up, 24/7/365. We administer our very own tier-leveled servers. This gives us immediate and direct access to the servers which host our clients’ websites. This eliminates unnecessary waste of time, if we were to otherwise have to contact a third party administrator when some concern needs to be addressed. Our support staff is literally a few feet away from the server admin. This puts control in our hands, and not leave us dependent on a third party’s working hours or toll-free numbers. GuamWEBZ will take every effort to protect the domain name associated with your online presence. 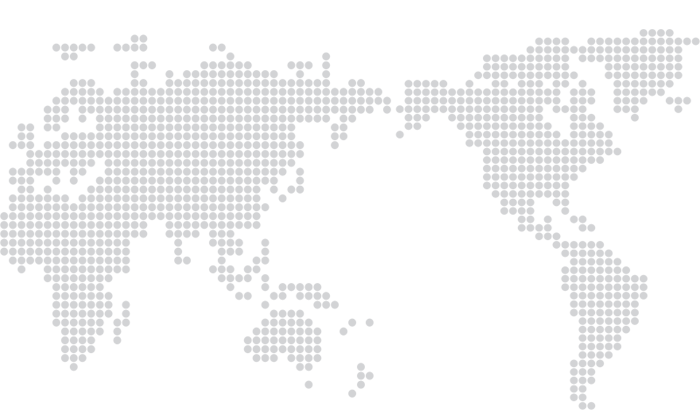 In fact, GuamWEBZ runs its very own Domain Name Registry Services, known as DomainsGuam. Sometimes a company needs custom business software enhancements or custom software integration to make its existing systems work better. GuamWEBZ believes that business metrics such as employee productivity, operating profits, and customer loyalty are often directly influenced by the quality of the business software deployed by the organization. We also understand that software packages do not always provide the specific features required to meet the unique objectives of the organization and that, in some cases, customized software is the best solution. GuamWEBZ has developed custom application software solutions for its clients. Our software application development team understands that many businesses have unique requirements and that a "one size fits all" package is not always an appropriate solution. Web-based software is preferred as it is customizable, expandable, scalable, open-sourced, and accessible from anywhere. Whether you need to run a rental business, or want to manage your AR’s, or if you need to keep track of your invoices, or maybe simply need a database of documents…GuamWEBZ will assess, plan, implement, integrate, deploy, support, and measure a custom software application for you. GuamWEBZ's website management services, which we call "WebCare" include anything and everything you may need for your website. We’ll update your websites content, add new pages & pictures, develop new features, provide 24/7 support, fix glitches, address B2C issues, and more! GuamWEBZ is your all-in-one solution for managing your website and making sure everything runs smooth. We provide services of updating web content (images, videos and text) and making sure that everything on your website is in good order, proper design, and 100% functional. GuamWEBZ has one of the best website management methodology in the industry. We have been trained, and retrained, in the field of website management, and more specifically, in "updating" websites. We are often commented for having a fast response time, accuracy of work, and great client care. There are a lot of solutions out there which allow you to manage your own website but unfortunately none of them are truly effective. Website editing programs like Dreamweaver cost hundreds of dollars and can be just as difficult to learn as the raw code. Other self-service solutions add a lot of lines of extra code in which can hurt your search engine visibility. Most importantly though none of them account for things like browser compatibility testing, and none of them can analyze your websites goals and help you figure out how to accomplish those most effectively. When you take advantage of our website management service you won’t have to worry about buying expensive software and you’ll never have to worry about your website breaking from your editor adding extra code into it. We perform advanced browser compatibility testing for all of our clients and we write all of our code by hand so you can be sure you’re website will always be nothing short of the best. 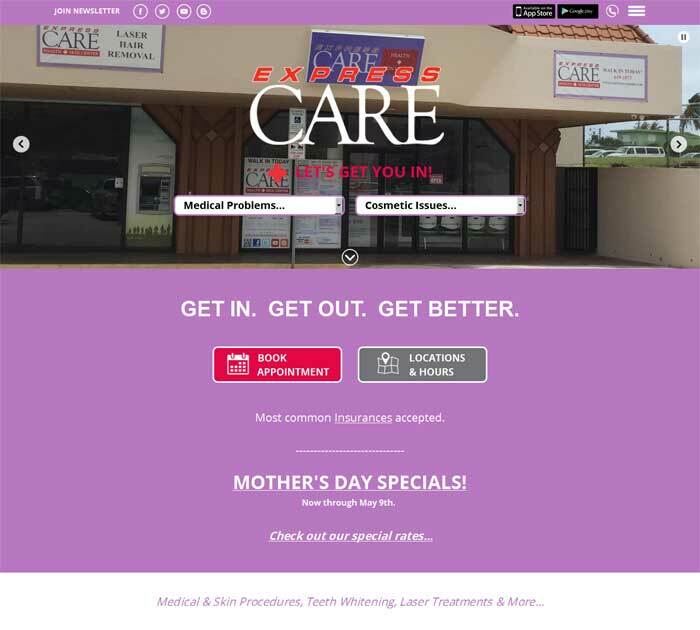 Some of Guam's busiest organizations and websites with heavy traffic have happily depended on GuamWEBZ's WebCare Team to keep their websites updated and supported in a timely manner. E-commerce has totally changed the way the world does business. Websites like Amazon.com have become synonymous with traditional market places, such as Walmart. Today, we can buy almost everything online. The technology that allows consumers to buy online and for businesses to make money online is dubbed "e-commerce". The term usually refers to "online stores", or websites from where consumers can shop. GuamWEBZ builds, tests, and launches e-commerce solutions for almost every business type. Along with online stores in websites and Facebook, GuamWEBZ also can provide in-store Point of Sale systems, all seamlessly connected and synced with your inventory. GuamWEBZ works with the most sophisticated technology and methods available to make it possible for you to accept Credit Card payments (payment-processing), with ease, with extreme security, and with the level of comfort your customers have come to expect. GuamWEBZ bridges the gap between third party vendors, who provide various mechanisms to accept online credit card payments, and You. We take a deep understanding of your needs and after diligent assessment, we compose the most suitable payment-processing plan for your organization, using the tools reputable third party vendors have to offer, and integrating them for you online. We make sense of all the jargon and specifics used by vendors. Our web developers manage all the programming and code-work required. We understand how the process works, so we can train you and retrain you on using the process on a daily basis. We handle the entire set up for you from scratch to launch, so you can concentrate on other things, like running your business. At the end of it all, you will be accepting online payments. GuamWEBZ runs an entire division dedicated to Payment Solutions, known as PAYGuam. Depending on your overall marketing plan, it may be important for your website to be found on the internet, by the use of search engines. At GuamWEBZ, we take Search Engine Optimization (SEO) very seriously. Our SEO experts have years of experience in making websites climb the ranks on search engines, with out having to sign up for "pay-per-click" plans. Our SEO team works hand-in-hand with our web developers to ensure that the website is built and managed properly, so that search engines can find the website when a certain related keyword or key phrase is searched. The goal is to have each website to be found with in the top search results, such as on the top 20 results. SEO is quite complex. The techniques we administer help your website get listed and found on search engines, and require Indexing, Meta Tag Implementation, HTML Rich Content Building, Favicon Implementation, and more. GuamWEBZ will help you grow your business and popularize your brand's identity across the complex digital landscape through our effective Digital Marketing and Web Advertising solutions. Our digital marketing strategies are customized for each of our clients. We know, that a cookie-cutter approach is the wrong approach. Instead, we absorb ourselves in understand your business, your goals, your pain-points, your competition...and then we design a plan that would work for you. GuamWEBZ is an official Google Partner, allowing us access to a wealth of information on how search engines work (and think), better website advertising rates (such as Google AdWords), and more. We will help you design appealing advertisements, with clear messages, utilize A/B testing, and overall, get the most bang for your advertising buck. All our ad campaigns are equipped with tracking and analytics, so you can monitor your success. GuamWEBZ's social media management services are designed to grow your brand’s online presence. We help your brand establish trust and build relationships with potential buyers. The benefits of using our social media management services consist of increased awareness, website traffic and lead generation. Additional benefits include influenced Google rankings, blog promotions, reputation management, and customer service to current and potential customers. 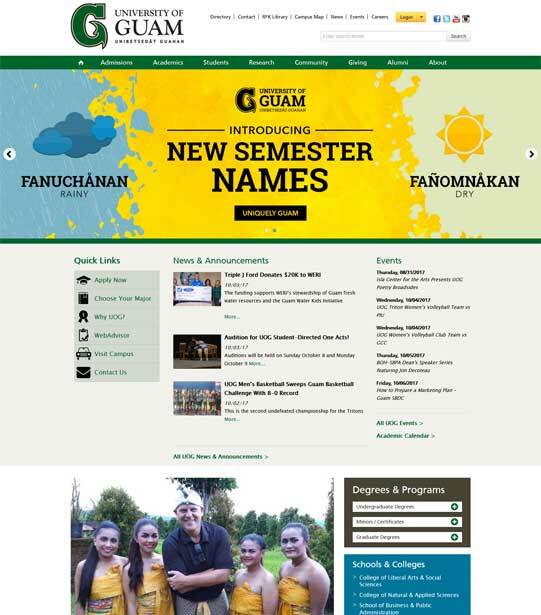 GuamWEBZ is an official Reseller/ Authorized Partner: Government, Education, Non-Profits, And Business, for the Guam area. *G Suite is now the name of what was previously Google Apps. It is the business version of Gmail. GuamWEBZ believes in the power of numbers. This is why we offer a comprehensive web usage tracking and reporting system. Our clients have access to their web statistics 24/7. This means, clients can view the number of Visits their website is receiving, where the visitors are from, what time of day is the website most visited, what keywords were used to find the website, and more! All statistics are in real-time. GuamWEBZ offers both Webalizer and Google Analytics. We also train our clients to be able to read and interpret the numbers, and to gauge success of their website over the longevity of their website. Our consultants are always available to convert the technical measurement to simple language for better understanding. With substantial data, we can help your organization develop and implement effective and efficient web strategies. What’s the difference between "number of hits" and "number of visits"? Our qualified website consultants are always ready to accommodate the client. GuamWEBZ consultants works closely with the client, and are dedicated to each project. Whether the client has one question, or 100 questions…our consultants are here to provide answers, translating jargon to English, and working to understand the client’s needs. Our consultants guide the discussion between the client and our development, support, and updates team. This provides a bridge between what needs to be done to getting it done. It also makes it easier for the client to deal with One person (the consultant), rather than a dozen of our team members at the same time. However, is it right to note that the teams are the consultants back-bone, making things happen behind the stage. "Face time" and "think time" are embedded in our company’s approach, and GuamWEBZ is truly inspired by doing business in person. The word "Guam" in our company is to signify that we are from Guam; we are a local company, who offers the benefits of doing business with a face, not a computer screen. Though we deal in fast-paced, technical industry, we still believe in good old-fashioned customer service. Great client-care is our trademark. GuamWEBZ, with its professional partners, provides world-class planning and consulting services. Our project teams possess core talent, technical know-how, advance capabilities, combined decades of experience, industry-specific expertise, and a vast portfolio, making GuamWEBZ the only company on Guam the more preferred choice for larger, more extensive projects which require in-depth IT infrastructure planning and consulting. We provide a road map to you technological future. 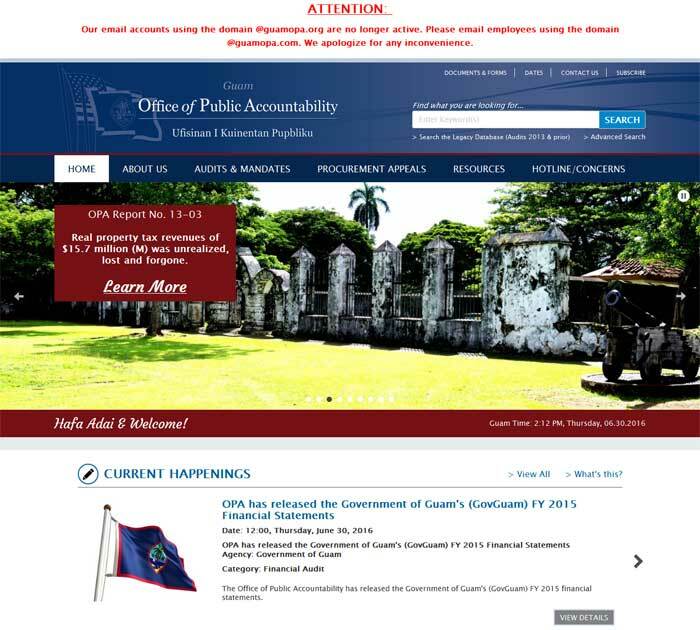 GuamWEBZ encourages our clients to ask questions and to understand how their website works. We empower our clients with optional thorough training. This is indeed for clients who want to learn more about web design, the inner workings of the internet, and similar topics. Training can be directly related to the client’s website. For instance, the client may want to learn on how to read and interpret "web statistics". We can surely offer this type of training. Or, education can be related to broader topics, such as, web-safety. For instance, the client may want to learn on how to encourage web safety at home. Again, we can offer this type of education. There may be certain areas of the website which the client themselves would be managing (updating). In this case, we offer "live remote assistance" through the day, by which the client can ask our assistance in guiding them through a certain task, simply over the phone or via chat. The client and our support team would be sharing "desktops", in that, the client will be able to remotely see our support team’s desktop, for easy understanding of any training presentation. This would help avoid unnecessary commuting. Casual training is on-going, formal training can be set per schedule. We encourage our clients to allow us to make accessible websites, for persons with disabilities. Accessible websites are also, in general, very user-friendly. We are well versed in code validation and in accessible-web design. After completing your accessible website, we will execute compliancy tests to assure your website is accessible and conforms to the principles of accessible design. GuamWEBZ has worked with and remains in constant communication with local and national experts, who guide us and help us understand the needs of persons with disabilities, as they utilize the internet. Our goal is to make websites accessible to ALL. Persons with disabilities access the internet using assistive technology or other mechanisms. We can build websites that function with these mechanisms. GuamWEBZ offers first-in-class bookings and reservations systems. Over the years, we have worked with large hotels and new, homegrown restaurants. We offer online booking engines, to help you acquire that customer, through easy to use web-based interface. With our booking engines, you will be making sales from bookings, around the clock. 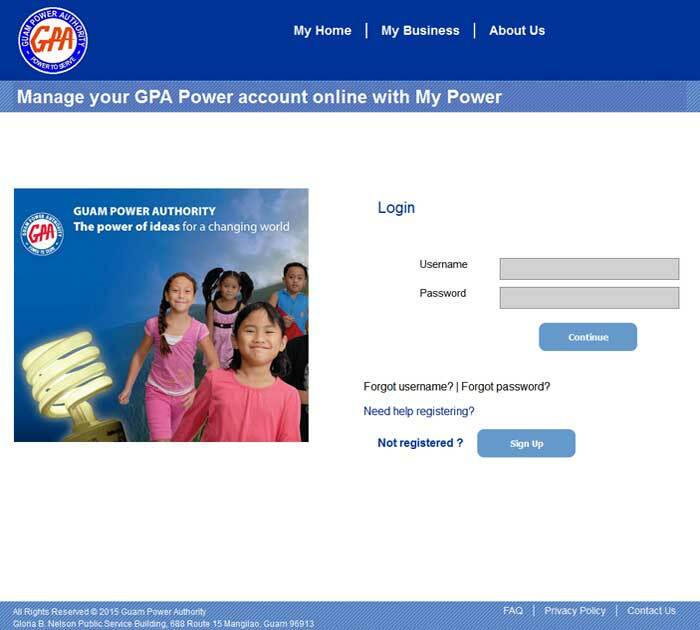 While, your customers would be enjoying the convenience and security made available through your web-based interface. Our booking engines spread seamlessly, through the channels you prefer, such as your website, kiosks, Facebook pages, at your locations/retail outlets, and more. With a complete robust back-end, your teams would be able to see bookings in real-time, able to publish reports on the fly. Our systems work with enterprise solutions offered by Oracle and others, as well. So, if your hotel already uses Opera or other licenses, we can help convert those to a web-based interface. For tour agencies and travel professionals, we offer integration across various user-types, including tour agencies, agents, and more. Our bookings and reservations systems are customized to meet your needs, achieve your goals, reduce waste, and remedy pain-areas. We sit with you, understand your flow, and plan, design, and deploy a system that would give you the best ROI in the industry, for years to come. GuamWEBZ offers the most innovative, flexible and affordable CRM in the market and delivers the best all-around value of any CRM solution in the industry. However, the real value of our customized CRM goes far beyond the low total cost of ownership our clients have enjoyed. In addition to the robust sales, marketing and support features, businesses can customize and build on the same platform to scale out as the organization grows and diversifies. The low cost of ownership means organizations can place the power of CRM into the hands of even more customer-facing individuals to drive consistent, exceptional customer relationships. By breaking down departmental silos, and giving every customer-facing employee the tools they need to be more effective every day – GuamWEBZ provides a unique value and return on investment not seen in other CRMs. GuamWEBZ allows organizations to build truly automated end-to-end processes that help businesses focus on what matters most: making every customer relationship extraordinary. GuamWEBZ will sit with you to understand your unique needs and pain-points, with the goal to deploy a customized CRM which takes your customer relationships to a higher level of engagement and success. GuamWEBZ has been launching multi-language websites and translating documents for years. We know how to streamline the process and assure quality and accuracy through the process. Nope, we are not fans of "automated" language translation. Instead, we recommend "human translation" services. This means, one of our qualified experts would professionally translate your material from the source language to the target language. Our pool of usually native language experts are specific to one language. We specialize in translating all types of materials and documents, no matter how technical, industry specific, or lengthy. We have translated documents for the private sector, including law offices, clinics, construction companies, restaurants, and more. We were also chosen for some high-profile government and military projects, where accuracy and quality control were key deciding factors for choosing the proper vendor. GuamWEBZ understands the importance of your brand. It is your face in the community. It is inspired by your ambition. It is who you are. We know this. And that's why, we encourage the best possible reflection of your brand through quality design and publication of that design. Your brand's message needs to be consistent, professional, and recognizable. GuamWEBZ offers professional design work, specializing in Logo Design and Logo Packaging & Management. We will sit with you and understand your needs. We can either clean up your logo or design a new logo for you. Your new logo would be unique, and simply...would be "yours", a reflection of your organizations image, culture, and attitude. Logo PackaGing offers your logo in an array of file types, and variations, so you have all the logo renditions in one package. This is truly useful when you need your logo for various media, such as business cards, website, letterhead, Facebook profile image, signs, decals, and more. Already have a cool logo? Not a problem. You can still hire us for Logo Packaging. As an organization, it is one of the most useful resources to have on hand. Our design lead has worked with over 12,000 designs over his career, and would happily assist you, having worked with some of the most iconic logos and designs we see around in Guam. We will understand your needs and help you reach your goals by providing customized solutions. GuamWEBZ works with hundreds of Guam’s small-medium businesses, large corporations, start-ups, not-profit organizations, education institutions, and government departments and agencies. "Awesome work in website development. Kudos to GuamWEBZ." - Mike Tsai, Director, Global IT Services, TakeCare Insurance Company, Inc.
For all industries. For all budgets. For You. Whether you are a restaurant or university. Or, if you are on a ramen budget or have received a huge grant. We are your web team. Let's meet up. Contact Us. 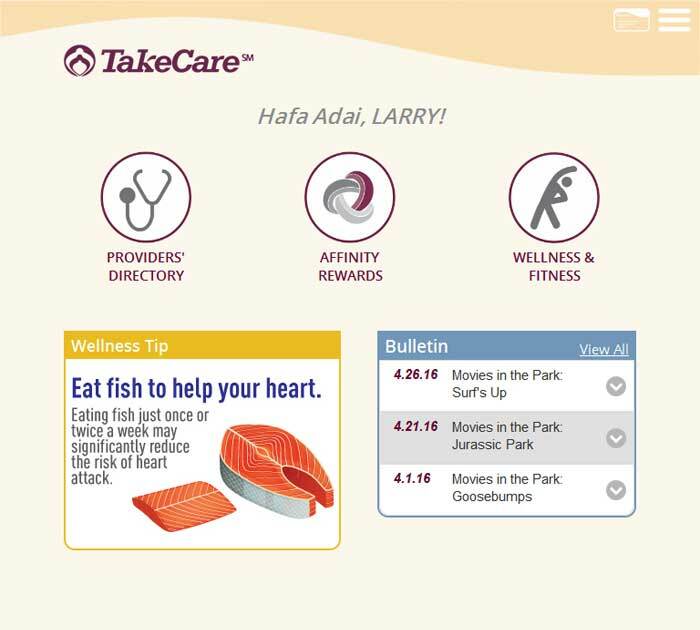 Our WebCare Team is Guam’s most preferred web updates and support provider, with a proven track record of web, apps, systems, and social media management and security around the clock.